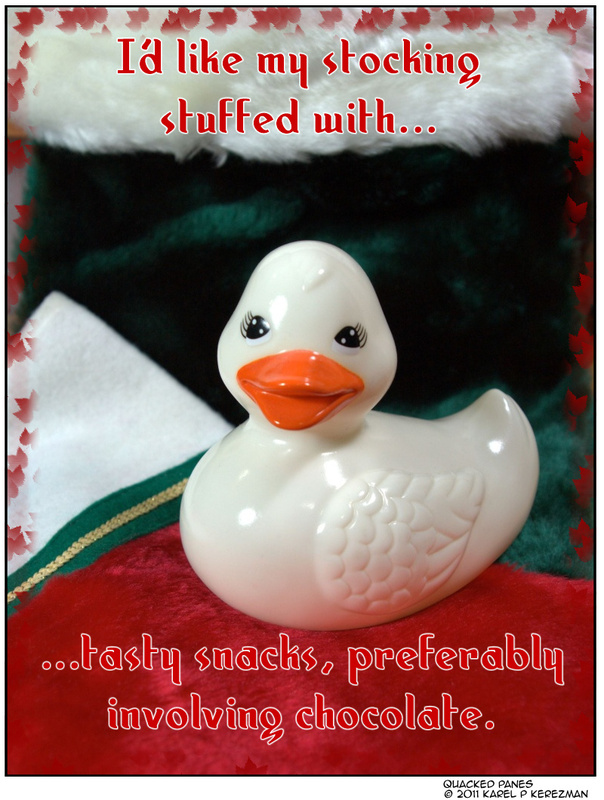 By now, if you’re following along, you’ve figured out the schtick for this year’s Quackvent Calendar event. It’s nothing too fancy or clever, but it’s just a little something from me to you… and from me to me, since by getting all of these completed in short order I’ve given myself a “winter break”* before picking up regular comics again on December 26th. That’s right, you get 26 straight days of comics in a row, after a fashion. Don’t ever say I didn’t give you nothin’. * – Yes, I know. Winter starts, officially, just before this event ends. Have you been outside lately? It’s winter. Trust me.